Your iPhone does not power on. The iPhone has functional defects (i.e., it cannot make calls, battery is dead, screen is broken and so on). Your iPhone has signs of everyday use, but is 100% functional. Your iPhone has never been used or looks like a new iPhone. No scratches, flaws, dent, nicks or scuffs. Still in the factory original packaging sealed/untouched. We don’t pay for devices that have been reported lost or stolen. Enter your iPhone specifications and get a free immediate quote in just seconds. Use the provided prepaid shipping label, just pack up your iPhone and ship to us. We’ll process your order after your iPhone arrives, & you’ll get your payment fast. How Do You Trade In Your Used iPhone Online? What is the Model: If you need help identifying your iPhone model, follow this link: Identify your iPhone. 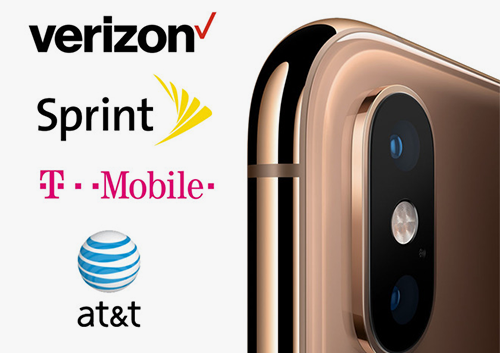 Who is your Carrier: Indicate if your phone is locked to any of the major U.S. carriers—AT&T, Verizon, T-Mobile, or Sprint—or if your iPhone is Unlocked (not tied to a carrier). What is the Storage Capacity: To find the storage capacity of your phone (8GB-512GB), go to: Settings/About/Capacity. What color is your phone? Note that this will not affect your iPhone’s value or our quote in any way. Are you including the charger? Is your phone financed or still attached to an account? In what condition is your iPhone? :Broken, Fair, Good, Flawless, New. These factors all combine to produce our instant quote. But rest assured that regardless of your iPhone’s condition, we’ll gladly accept it in trade! Once you’ve agreed to our offer, we’ll email you materials to ship us your iPhone and get paid lightning quick! iGotOffer is a woman-owned, multi-million-dollar company that is continuing to grow and thrive. Our company has received a score of 9.8 out of 10 from ResellerRatings.com. We are based in the U.S. and comply with all U.S. laws and regulations. We ensure a safe, quick, and dependable transaction, every time. Our customers are important to us: We will make sure you and your device are protected throughout the selling process. Shipping and insurance are always free, to and from our company (see our terms of sale). You’ll receive payment 1-2 business days after we’ve inspected your iPhone and confirmed our offer. Best of all, you choose the payment method you prefer: PayPal, Chase QuickPay, Amazon gift card, or check! Back up any personal data (photos, videos, music, documents, apps, etc.) you wish to save. Then reset your phone to the factory default settings. If you have a SIM card, remove it to cancel your mobile service. If there’s no SIM card, contact your carrier to deactivate your account.Finally, remember to properly pack your iPhone so re receive it in the best possible shape. Please consult our shipping instructions: Shipment Guidelines. To find out which iPhone model you have, go to Settings > General > About. To the right of Model, you'll see the model number. iPhone XS Max: A1920, A2097, A2098, A2100. 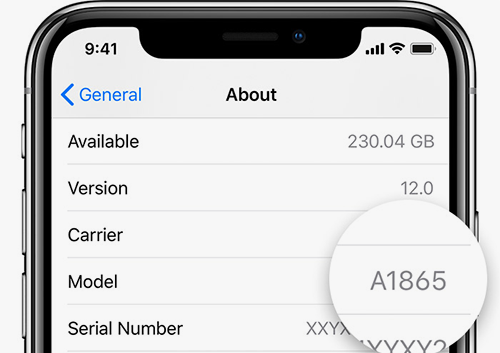 iPhone XS: A1921, A2101, A2102, A2104. iPhone XR: A1984, A2105, A2106, A2108. iPhone X: A1865, A1901, A1902. iPhone 8 Plus: A1864, A1897, A1898. iPhone 8: A1863, A1905, A1906. iPhone 7 Plus: A1661, A1784, A1785. iPhone 7: A1660, A1778, A1779. iPhone SE: A1723, A1662, A1724. iPhone 6s Plus: A1723, A1662, A1724. iPhone 6s: A1633, A1688, A1700. iPhone 6 Plus: A1522, A1524, A1593. iPhone 6 : A1549, A1586, A1589. iPhone 5s: A1453, A1457, A1518, A1528, A1530, A1533. iPhone 5c: A1456, A1507, A1516, A1529, A1532. iPhone 5: A1428, A1429, A1442. Select your iPhone Carrier you have been using from the list below or choose unlocked. Some iPhones are fully unlocked and could work with almost any provider. Usually unlocked phones are worth the most and you would get the most cash for it. Please confirm with your carrier if it is fully unlocked. On the Settings menu, tap General tab, then tap [device] Storage or Storage & iCloud Usage. 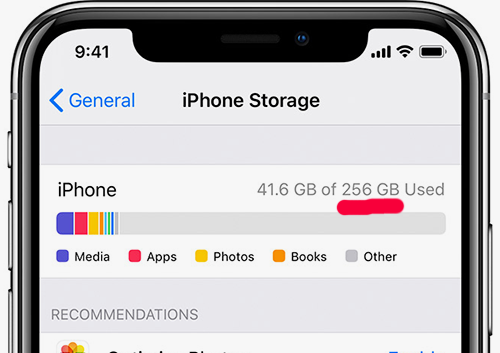 You'll find your iPhone storage capacity in the following window.